I've written quite a bit about how my eldest child, six year old C, is a very logical learner. He likes facts and statistics, always wanting to know why things happen and the history of everything. When we were given the opportunity to review the Adventure SmartGlobe from Oregon Scientific, I knew that it would be something that he'd love, as in the past he'd like to use an old mobile phone to look up places on Google Maps to see where they were. I was initially really surprised by the sheer size of the globe. It's extremely colourful and you can read all the country names easily, as well as their capitals and some other cities. 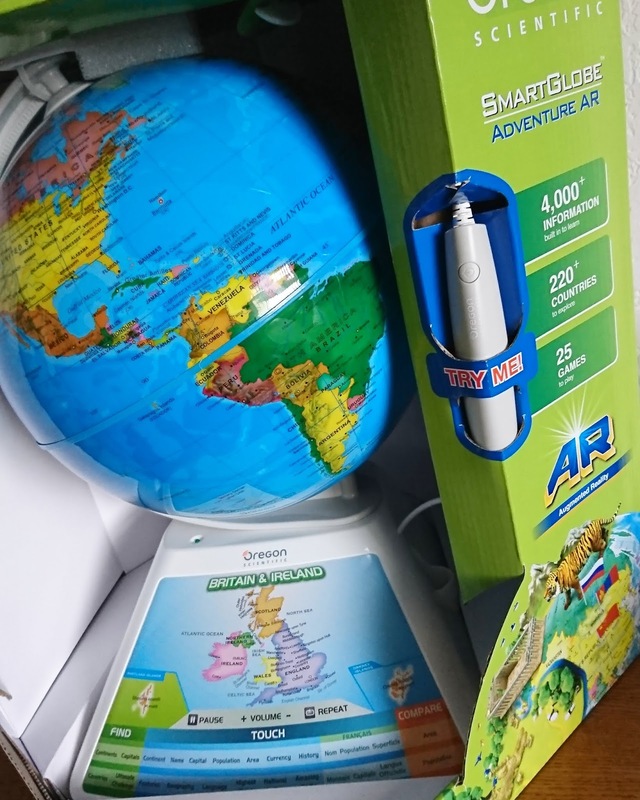 The globe runs on 3 AAA batteries which are included and comes to life when you press the power button on the attached pen. 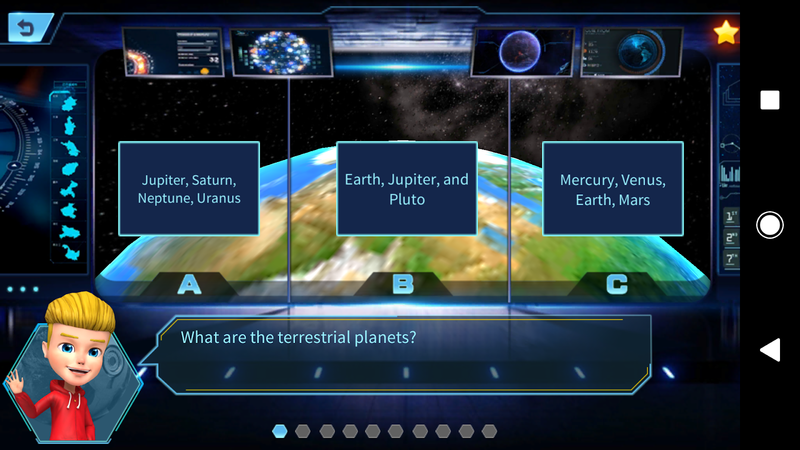 You are encouraged to select a category on the globe's base; Continent, Name, Capital, Population, Area, Currency, History, Features, Geography, Language, Highest Point, National Anthem or Amazing Facts. Once you've done that you can touch the pen on any of the 220+ countries and the automated voice tells you a fact. With over 4,000 to learn, it's sure not to get boring! C is like a sponge and absorbs information only to recite it about a month later. 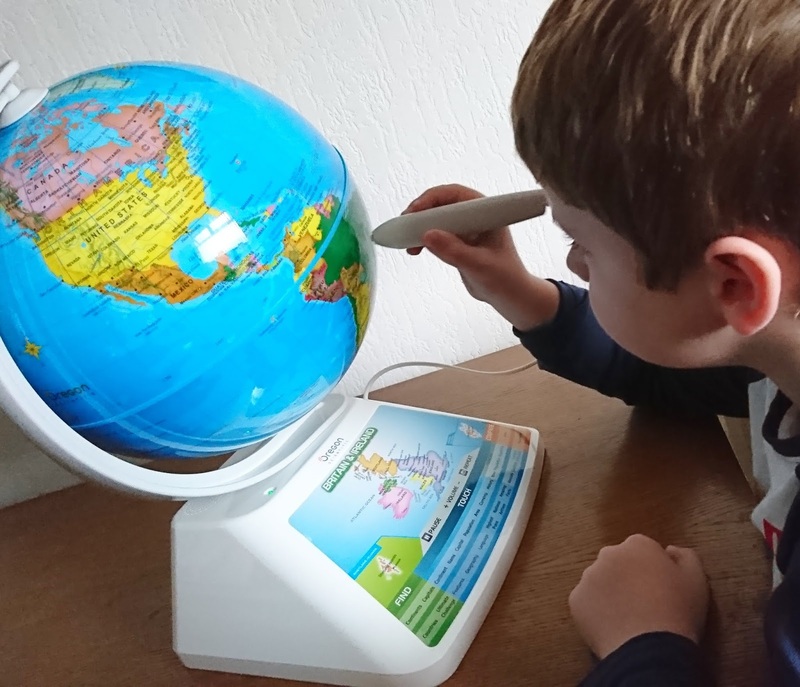 I definitely think he'll be impressing his friends and teacher with his knowledge after playing around with his SmartGlobe for a while. As well as learning facts about countries you can also learn some facts in French and compare the areas and populations by touching two different countries. When you think you've learned a lot you can even quiz yourself by playing one of the 25 in built games, making the globe ask you questions and prompting you to find and tap the correct country. C finds these a little too difficult at the moment but I bet the more he plays and older he gets, this will definitely improve. 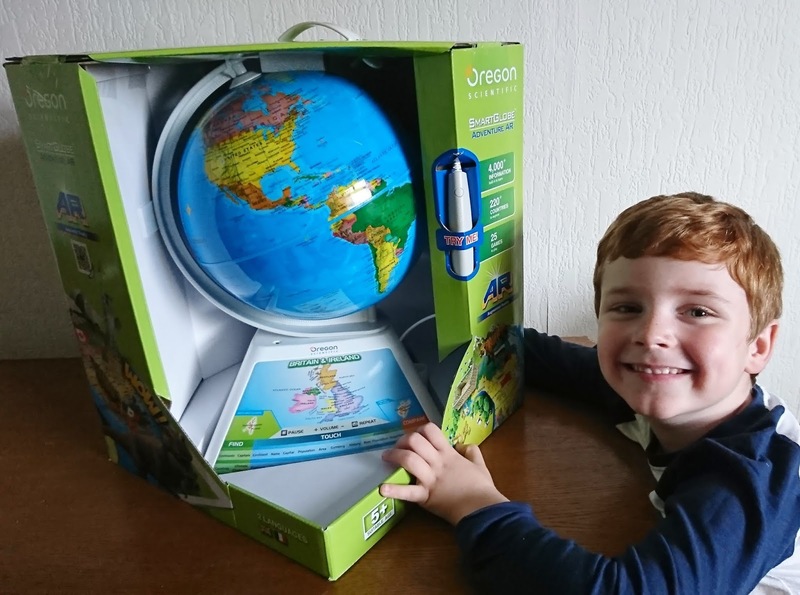 C has been completely attached to his SmartGlobe with his favourite areas being finding out each country's National Anthem or comparing areas or populations. He's also decided that his favourite of all the countries is Egypt. I love that the base has a zoomed in map of the United Kingdom and Ireland. My own knowledge of geography is rubbish as I never enjoyed it at school, and living in Northern Ireland means I've been a bit ignorant to where in mainland UK certain towns and cities are. It's been a bit of an eye opener for me! On the box of the SmartGlobe, there is a QR code that you can scan with your phone or tablet and download the Augmented Reality app. Honestly, my first impression was that the app was pretty big at 765MB and I found that I had to delete quite a lot off my phone just to install it. 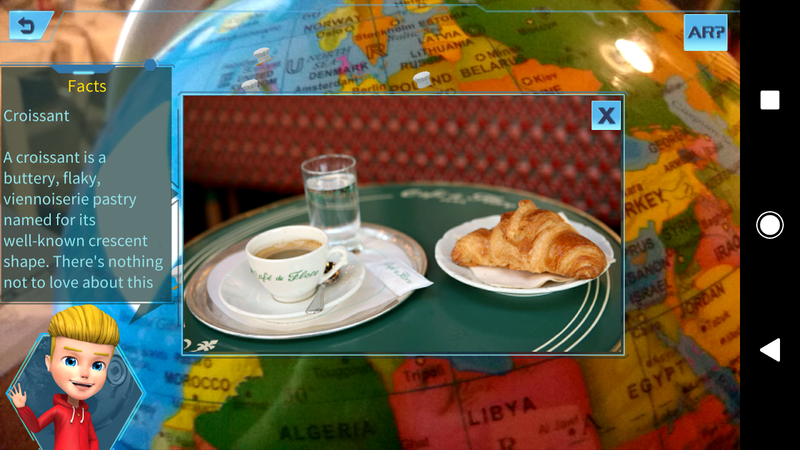 After installing and signing in, you are able to use your device to scan a certain area of the globe and learn more about that country whether it be what animals live there, the monuments or sights such as the Eiffel Tower or Statue of Liberty or even cuisine. It does seem a little glitchy/jumpy when trying to scan but I am unsure if that's down to my device or the app itself. The AR aspect is a nice little addition to learn some extra information. 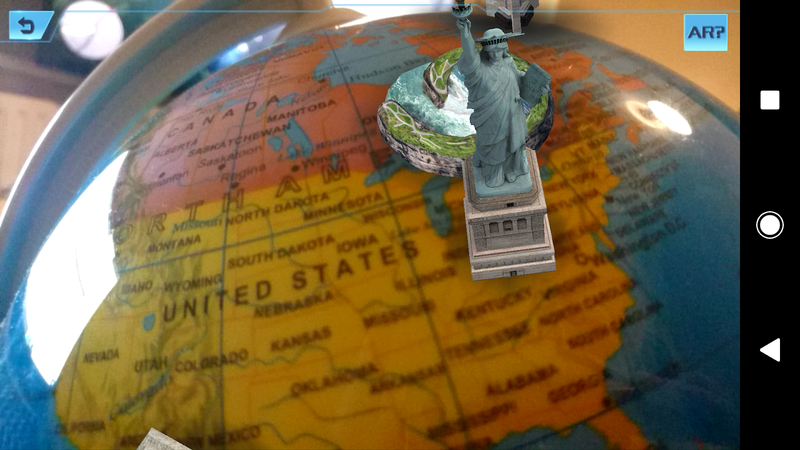 At the end, you can test yourself by doing a quiz on what the AR app might have taught you. I honestly cannot praise this product enough and I wish I had it when I was a child! C is always wanting to have either his tablet or the PlayStation but he has actually been choosing to play on the globe a lot more instead. I never thought I'd see the day! The Oregon Scientific SmartGlobe Adventure retails at £59.99 which I think is absolutely amazing for what it does. You can find out more about the range of globes at the Oregon Scientific website.